The ultimate guide to Zurs ski holidays in 2019 & 2020. Zurs is a dream location whether you’re looking to be seen with the stars, take to the skies heli-skiing, or just soak up the sun whilst watching the world go by. With epic annual snowfall and lift access to a massive linked ski area, there’s enough skiing for everyone and the local guides and heli trips open up limitless possibilities. If you’re looking for a luxurious and decadent holiday this year, look no further. Part of Austria’s massive Arlberg ski area, this is a popular ski destination of choice for the rich and famous- Vladimir Putin is a notable visitor here, as is tennis legend Boris Becker. This relatively small and exclusive village is still perceived to be very much of a hidden gem within the Arlberg area- it is quieter, so attracts a lot less publicity than nearby St. Anton, but has access to the same fantastic array of terrain, which makes it no surprise that loyal visitors return here time and time again. The local architecture oozes Austrian charm and most of the accommodation is in the form of luxury 4 and 5 star hotels – some with doorstep skiing and wellness facilities. The village is very pedestrian friendly throughout the day, and nothing is ever more than a few minutes’ walk away. Not far down the valley you’ll find Lech, which is commonly considered to be the prettiest village in Europe, and shares many of its amenities and events with Zurs - they’re often linked together as one resort. While Zurs is the smaller of the two (you’ll probably have to head to Lech for a more varied dining and après scene) it’s also the higher and conditions lend themselves to a fantastic annual snowfall. In the Arlberg ski area you’ll have access to 280km of pisted terrain spread over 5 different areas- the most famous of the bunch is après ski legend St. Anton which is about 15 km down the valley. There’s a regular free ski bus that runs between the resorts, so you’ll easily be able to check out a few different areas during the week. There’s plenty of variety off the slopes as well. View our detailed Zurs snow forecast or snow report and see all live webcams, piste maps, road and travel maps and lift pass prices. For a picture of historic snow conditions see the snow depths month by month with our Zurs snow history. 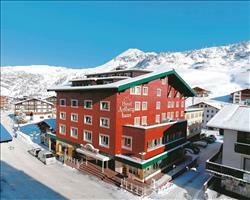 A stay here gives you access to the extensive, world-class Arlberg terrain thanks to the standard ski pass covering the entire region. Lech and Oberlech are lift-linked to Zurs, whilst the ski areas of St. Anton and Stuben are easily reachable by the free ski bus. The luxurious way of life continues onto the slopes- Zurs was home to world’s first heated chairlift, and today many of the newer lifts come equipped with heated seats for inclement weather. Don’t let these creature comforts deceive you - alongside 280km of groomed pistes you’ll find some of the best freeriding in Europe - 180km of high altitude powder runs. This is the perfect stepping stone for the adventure of a lifetime- the region is home to the only heli skiing operation in Austria. Make sure you don’t stray into the trees when off piste- environmental restrictions can result in the forfeiture of your pass if you’re spotted in gladed areas. The majority of pistes are suitable for beginners and intermediates and most local runs are blue. Piste 3 which leads from Hexenboden down to Zurs is called ‘Familienabfahrt’ or ‘Family Descent’ and is brilliant for conquering the snowplough or as the name suggests, enjoying with the clan. The Trittkopf gondola takes you straight from the village to some extreme terrain - there are a selection of reds, many of which branch off into blacks. An absolute must ski for experts is the 22 km White Ring Circuit – the race is a long standing tradition here and the whole circuit, which begins at Rüfikopf and includes the Madloch decent provides a seriously challenging ski. Lech’s snowpark will surprise you with its size and range of obstacles including easy, medium and pro lines - decide what features to hit from the Schlegelkopf lift which runs parallel to the park. With many bars and restaurants being based out of hotels, depending on where you stay you may not need to venture far from your hotel for the entire week. The Mountain Restaurant Seekopf is one of the best lunch spots on the slopes. Their comprehensive menu has a bit of everything; local delicacies such as the wienerschnitzel are incredible, international favourites will please every palate, and the kids menu is sure to please the fussiest of eaters. If you fancy a warming drink they do a great glühwein, and you can’t leave without a taste of another of the region’s specialities, jagertee. You can ski straight from the slopes into your après bar of choice at the end of the day, though if you want a seat on one of the Hotel Zürserhof’s sun loungers you’ll have to get there early. With a sunny south facing terrace and outside bar, it’s one of the hottest properties on the mountain. 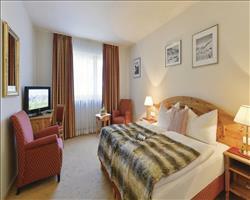 Slip off your ski boots and head to Thurnher’s Alpenhof- once you’re there it’s easy to settle in for the night. Their roof top terrace has some of the best views imaginable, and once the sun goes down you can head downstairs for a cocktail in the piano bar before dinner. The candlelight restaurant is one of the Austria’s most highly rated gourmet restaurants, and you can feast on 8 courses whilst enjoying spectacular mountain views. Those after a more debaucherous end to the evening should head to the Vernissage. Open daily until 3am, a visit here will often be followed by a trip home on ‘James’ the communal taxi- a flat fare will get you back to any hotel in resort. When is the best time to ski Zurs? There are great times to be had in Zurs throughout the season- though depending on what you’re after, you may be better served heading over at a particular time. Cineastic Gondolas has been running over the last few years- a medley of cinema, dance, fireworks and music- if you’re around while it’s on it’ll prove a truly unforgettable experience. The best snow can usually be found during February and March, so this is the perfect time for the powder hounds amongst you to head over. There’s plenty of hikeable freeriding terrain, and the local guides can take you to hidden stashes days after the last snowfall- though of course if you’re able to fit in some heliskiing then you’ll find some powder whenever you travel. For relaxed skiers, later in the season is the best time to visit. There are fewer crowds and the weather is warmer- you’ll be able to take advantage of the many sunny terraces in the region, and lounge the afternoons away with a drink. The whole family will have a blast in Zurs this year; there’s so much to do you won’t even have time to get on each other’s nerves. If any members of the family need lessons, then you’ve come to the right place- there are reportedly over 500 guides and instructors in the region! At Little Zurs there are lessons for children as young as three- provided they’re toilet trained - and 2-3 year olds can frolic in the snow to the heart’s content whilst under careful supervision. If you you’re travelling with even younger children then Googies babysitting service will be able to help out- they’ve got baby sitters available around the clock, so you’ll be covered whether you’re off skiing all day or just popping out for a quick meal. Even riding the chairlifts is becoming luxurious in Zurs; many of them have heated seats and bubble covers, which is great for youngsters if the weather takes a turn for the worse- though we’ve found that it’s usually Mum or Dad who reaches for the cover at the first sign of snow! The snowpark in Lech is a great place to start your freestyle career- and maybe even a chance to prove to the kids that you can teach an old dog new tricks! The easy line has some modest features that will ease you in gently, and depending on how far you come in the week there are medium and pro lines as well. The whole resort is very compact, so you’ll be close to the lifts wherever you stay, so you can spend as little time as possible tottering around in unfamiliar ski boots. The resort tends to quieten down fairly quickly after the initial après rush- late night bars are few and far between, so you’re unlikely to be woken up in the early hours by a rowdy English tour group. 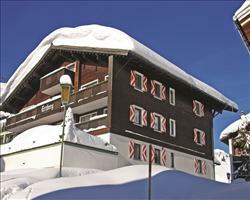 Zurs is a great place for the group ski trip this season- the resort is right in the middle of a huge linked ski area with access to a massive amount of terrain. There are four valley lifts a mere matter of minutes from the resort’s hotels, and from these you can immediately access a wide variety of terrain. A good first lift of the week is the Seekopf- the restaurant at the top does a great glühwein if some early Dutch courage is needed- and there are reds and blues down to the village from the summit. The more extreme members of the group will soon be heading for the peak of the Zuger Hochlift to take advantage of some of the best in-resort conditions, or further afield to the generally steeper slopes at St. Anton. The less experienced could well benefit from the tutelage of one of the resort’s many instructors- the super baby lift from the village is another option if you’re determined to teach yourself. Most accommodation is in hotels so it’s usually easy enough to get everyone staying together even if you’re travelling with a larger group. All the hotels are clustered close together, so in the unlikely event that you have to split up, you won’t be far away from the rest of the group, with the added bonus of having another bar to check out as well! Our packages that include flights and transfers aim to make your holiday as hassle free as possible- we’re sure you’ll be frantic trying to get everyone to book at the same time, so having to sort out flights and transfers will be the last thing on your mind. Self-drive holidays are also an option in Zurs- most hotels have secure parking for the week, though if you’re travelling in the height of the season pay careful attention to the weather forecast as occasionally the Flexen Pass can still occasionally be closed. I did a ski season in Zurs (working in Zurs and living in Lech) and I would recommend both resorts to anybody, especially beginners or those with children. Zurs is a great resort for honing and developing skills especially for children. The Kinderland area has three magic carpets which and a button lift that serves some slightly varied easy beginner runs and even a little beginners border cross area and a beginners slalom course (on a friday this will be frequented by the ski schools especially in peak weeks but head there on any other day and anybody can test them selves on the timed course.) Once you've got the hang of those, there is a perfect two man chair that extends it a little but brings you back to the same area. Look out for the gummy man! He runs the button lift on kinderland and gives out free gummy bears (which end up littered along the button). Once you've comfortable with that head towards the hexenboden lift which will give you some longer, wider and quieter blue pistes to practice on. For intermediates and advanced try Red 10 (head up the zursesee lift and ski blue 11 to the top of red 10) it has the most incredible views and is one of the longest in resort bringing you all the way back down to the centre of Zurs. A favourite of mine was to do the 'white ring' from lech to zurs and back. Your legs will be burning but it's worth it. Try to do it in the morning though if you're traveling late season as the run back down in to lech (schlosskopf 62a) can get quite wild and busy. Cut it out a bit by heading through the snow park! If you are set on staying in Zurs the Seekopf lift has a great restaurant at the top of the lift and the Alberghaus hotel does a great lunch menu if you're on a budget (brilliantly large pizza). There is a free shuttle bus during the day(and for a small fee the 'James' bus will bring you back in the early hours) that will take you to the more lively town of Lech (5 minute drive) where you can shop, have an apres ski beer on the terrace of 'Schneggarei' (go inside and have a go at the famous nail game..which gets trickier the more apres beers you have!) and if you want to take the night on 'Archiv' bar under neath the Ruffiplatz lift is open till 2am and promises a good night. 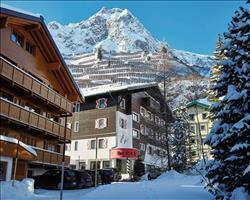 Another area to ski when staying in Zurs if you want a bit of variety is St Anton. Get the free shuttle bus (blue bus) to a half way point and you can ski all the way round to st anton but be aware..by the end of the day these runs get chopped up and are quite mogully (If you're a fan of the moguls then go for it..I am not and always need the beer that's waiting for me in the Krazy Kangaruh' at the end) Alternatively you can pay and get on the yellow bus which will take you all the way to St Anton and you can ski the area and end your night with it's word famous apres (The Krazy Kangaruh or The Mooserwirt...either sides of the same main run in to St Anton). Then you can catch the same bus back or organise a taxi (de lecher are the best firm to use here) Also watch out for royals. It's a favourite of Wills and Kate...you could find yourself sharing a gondola with them.